Most holiday dates in Dubai are governed by the sighting of the moon so vary and are confirmed by the authorities nearer the date. As Dubai Survival Guide website is going public in August 2014 the holiday dates before then are pretty pointless really. Here are the expected holidays in Dubai from August to December 2014. Enjoy them when they come. Some businesses close down completely for the duration of the holidays whilst others remain open. The public service offices close during the holiday periods. Take this into account if you’re planning on submitting documents or doing any work with the authorities during those times. Most holiday dates in Dubai are dependent on the sighting of the moon in the UAE and may change from those noted below. The only dates which are not dependent on the sighting of the moon are the UAE National Day and New Year’s Day in the Gregorian Calendar (the calendar which the western expats know). Dubai Sherpas will keep an eye on the dates and see if any changes are announced. Eid Al Fitr in 2014 is 28th July 2014 – see our guide on Eid Al Fitr. The second day of Haj (sometimes written Hajj) or pilgrimage is on 3rd October 2014. It is known as Arafat Day or Day of Arafa. A pilgrimage to Mecca in Saudi Arabia is one of the pillars of the Muslim religion. Arafat Day is a one day holiday and followed on 4th October 2014 by the Festival of Sacrifice, or Eid Al Adha. The Eid Al Adha is a three day holiday for private and public sectors. So most public and private sectors are closed for a total of at least four days for these two religious holidays. We are not experts in the Quran so it would be fantastic if someone would write something more detailed about these dates to help everyone understand it. As we understand, Eid Al Adha is a time for rejoicing in the devotion of Ibrahim to Allah when Allah asked him to sacrifice his son, Ishmael. Obviously, we’d love to hear more. Anyone who is knowledgeable in the Quran and who would like to give more background to Eid Al Adha and other Islamic holidays would be more than welcome to contact the Dubai Survival Guide team. On about 25th October 2014 there is the first day of the new year in the Islamic New Year. Al Hijri is a one day holiday for private and public sectors. Tuesday 2nd December 2014 in the UAE National Day. This is a time of great celebration by the UAE people including expats. The UAE was formed on 2nd December 1971 so this year we are celebrating 43 years since the UAE was formed, after the expiry of the treaty with the UK. There are competitions for the best decorated car and many other events on National Day which will be announced closer to the day. 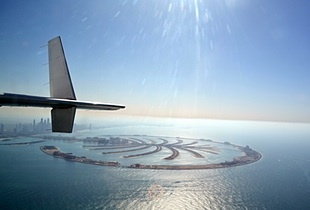 Dubai Calendar may help you with planning your holidays. Check under our Events & Exhibitions Guides for further information.